It would appear that Chelsea could be willing to sell Florent Malouda to Juventus after the Italian club's general director Giuseppe Marotta declared an interest in the winger. Eager to sign Alvaro Pereira from former club Porto Andre Villas-Boas is ready to offload Malouda in a cut price £5m deal to make way for the Uruguay international. Reports claim that Chelsea have already had a £16.6m opening offer for Pereira rejected and are ready to lodge an improved bid. 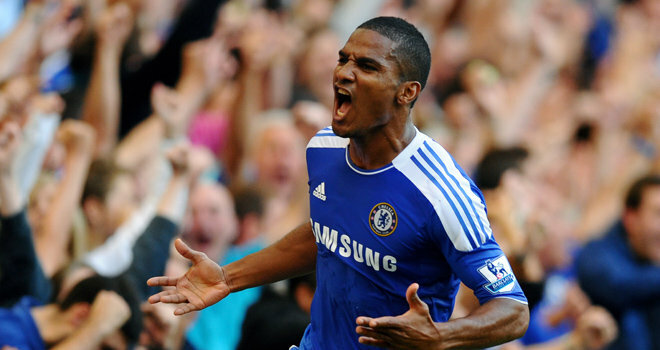 Malouda, 31, has a year left on his Chelsea contract and the club's policy of only offering one-year extensions to players over 30 years old means his long-term future at Stamford Bridge is in doubt. Juventus appear to have offered the France international an alternative option with Marotta telling the Italian media: "Unfortunately, Malouda is not ours, but he is certainly an interesting player..."